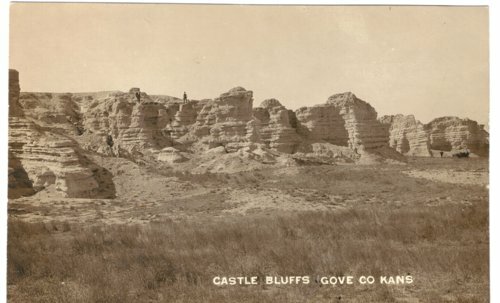 This is a photograph of Castle Bluffs in Gove County. Edwin Boyer and his Buick are on the far right. A couple of men are standing on some of the bluffs.